The first trailer for the movie adaptation of The Sun Is Also A Star, based on Nicola Yoon‘s bestselling novel of the same name, has hit the web! The movie follows Natasha Kingsley (Yara Shahidi), a Jamaican immigrant who’s a day away from deportation, and Daniel Bae (Charles Melton), a first-generation Korean-American immigrant struggling between his parents expectations and his own dreams. When the two meet by chance, they can’t deny their connection, but the world isn’t about to stop for their love story. What can they do with the one day they have together? In the trailer, we see Natasha and Daniel’s dramatic first meeting and their very evident chemistry as the wander the streets of New York City together. Still, Natasha firmly states that she doesn’t believe in love and Daniel is determined to change her mind. And in the process, he sure changes ours! Watch the trailer, originally revealed via People, at the top of the post. Nicola Yoon recently revealed the movie tie-in cover of the book, featuring the poster image. You can preorder this edition of the novel now via Amazon— It hits shelves on April 16th! The Sun Is Also A Star comes to theaters on May 14, 2019. 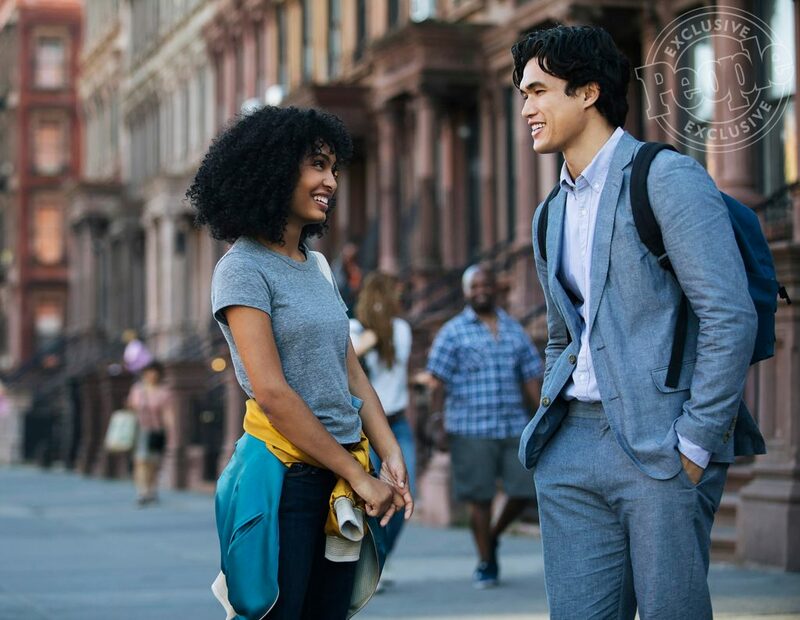 YARA SHAHIDI as Natasha Kingsley and CHARLES MELTON as Daniel Bae in Warner Bros. Pictures’ and Metro Goldwyn Mayer Pictures’ romantic drama “THE SUN IS ALSO A STAR,” a Warner Bros. Pictures release.